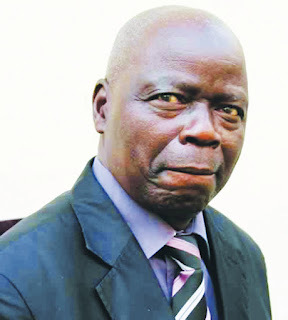 Zimbabwe People First (ZimPF) youths last week defied outspoken party elder; Dzikamai Mavhaire and challenged him to stop appointing leaders against the people's will, urging him not to poke his nose in youth affairs. TellZim News is informed that Mavhaire had imposed his loyalist; Oliver Huruva as the party's provincial youth chairperson, a move which saw senior youth members Kudakwashe Gopo and Admire Wakurawarerwa threatening to resign. ZimPF held two parallel meetings in Gutu last week with a panicky Huruva pleading with party 'chefs' to shun double standards upon realisation that Col Claudius Makova had attended both meetings. In an interview, Gopo confirmed that Huruva has since been demoted from the chairmanship post and said that youths have agreed that no elder will be allowed to intervene in youth affairs. "We have done restructuring and I am standing in as new provincial youth chairperson with Wakurawarerwa maintaining his position as treasurer. Our move to resign had been motivated by emerging Zanu-PF traits of dictatorship that had sprung up in the party. We decided at our meeting that there is no decision that should be made from top going downwards. "Everything should be vice-versa lest our voices are thwarted by dictators. We are also encouraging aging leaders in our party to stand as mentors and give the youth a chance. If they compete and get in power especially those above 70, we would have done nothing but just replacing Mugabe with his replica," Gopo said. Wakurawarerwa said if their demands are observed by the party, there will be no reason for them to file resignation letters anymore. "Our message is clear, as youths we want to be included in decision-making processes and we want to work independently without any interference from above. We are also aware that these aging leaders have crimes they committed whilst in power and we don't want those to hamstring us come 2018. They should instead mentor the young generation so that we topple old Mugabe from power," Wakurawarerwa added.